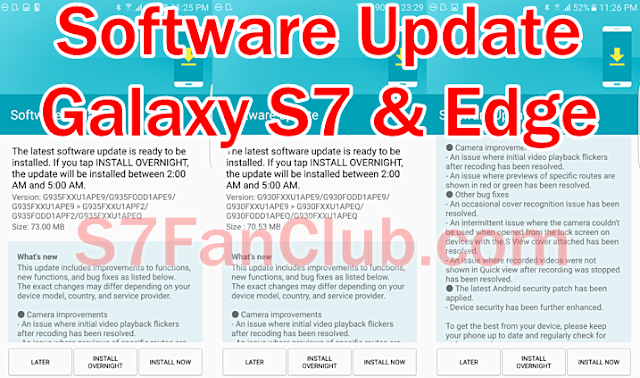 The Samsung Galaxy S7 and S7 edge smartphones have started receiving a new update that includes monthly Android security patches for the month of June, improvements related to camera, as well as other fixes. The camera improvements that the update brings along include a fix for an issue where initial video playback flickers after recording has been resolved, as well as an issue where previews of specific routes are shown in red or green. Other bugs that have been fixed include an occasional cover recognition issue as well as an issue where recorded videos were not shown in Quick View after recording was stopped. Rolling out in several countries worldwide (including the UK), the update reportedly weighs in at 329MB in Europe, while in several other regions it’s only around 70MB.